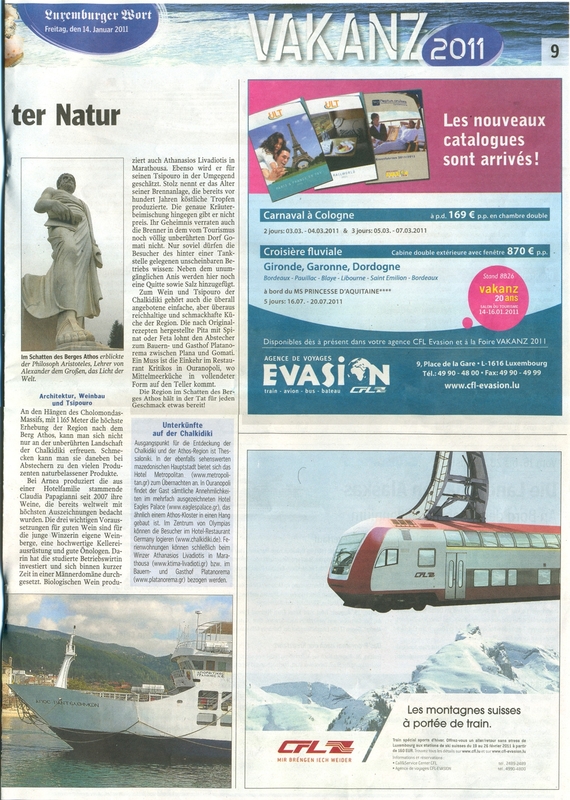 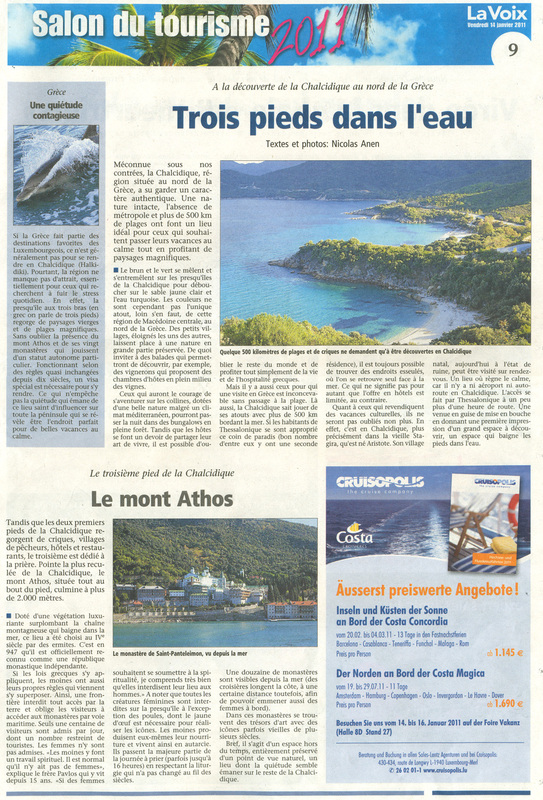 Press in Greece- print, electronic, television, welcomed Mount Athos Area in a way that touched us, giving impetus and promotion to this activity. 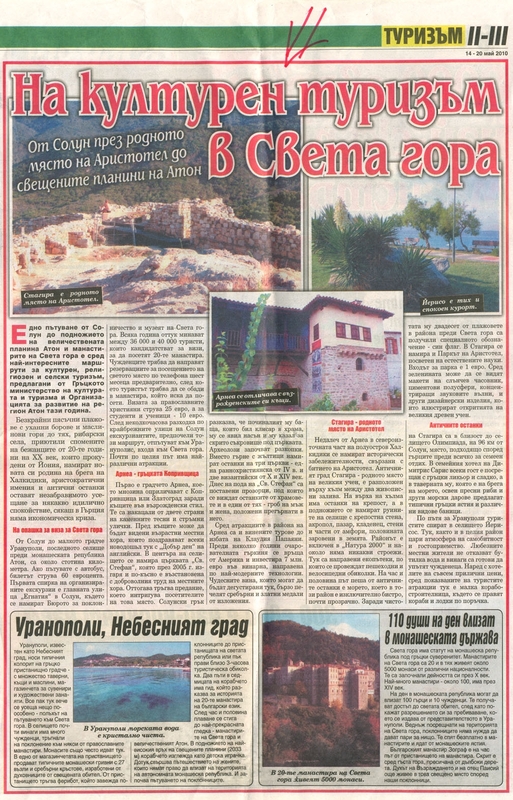 We accepted the same treatment from abroad. 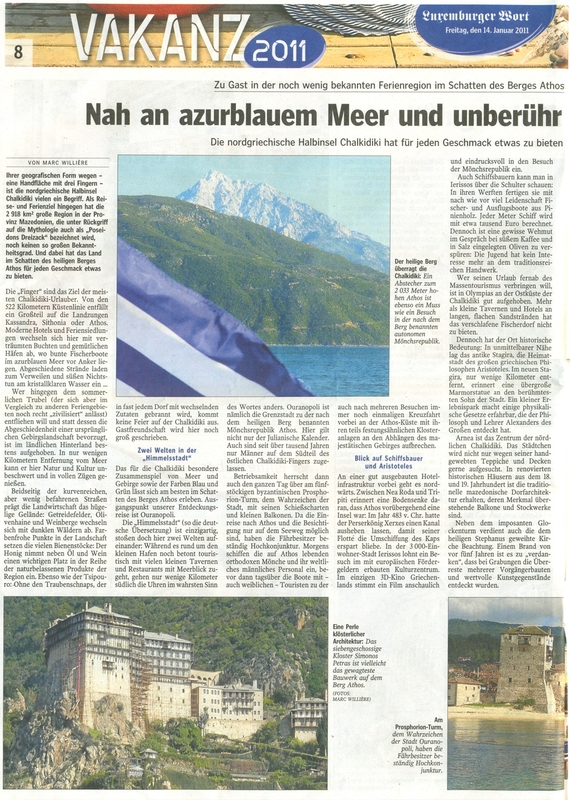 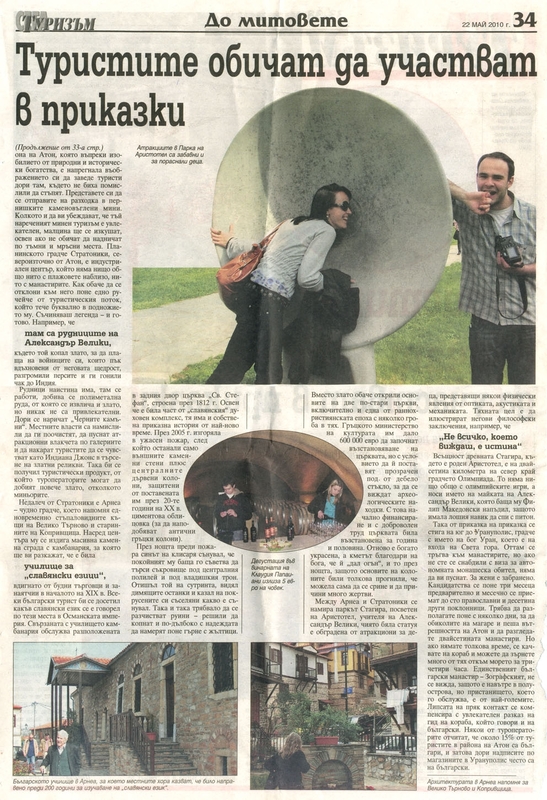 We present a series of press articles, which we believe that depict fully the prospect of our destination!